There was a funny Instagram post I saw other day and it read: I'm not perfect. I just contour. It was a major LOL moment. I very well know I really should be contouring but I've been way too busy in the mornings that I often forget. 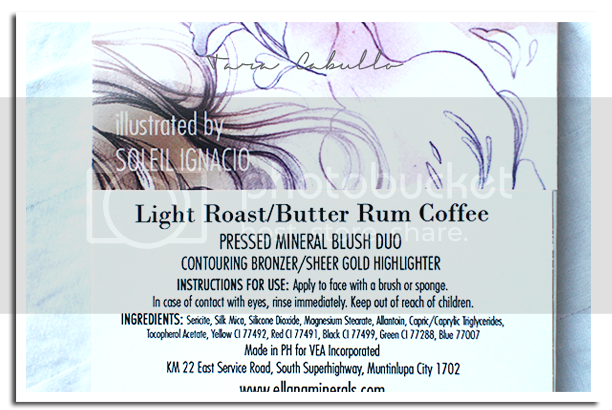 Some months ago, my friends at Ellana gifted me with one of their blush duos, in their new packaging nonetheless, in Light Roast and Butter Rum Coffee. Doesn't their shade names make you want to gulp down a nice cup of milky, nutty coffee? At PHP 450 a pop, it is a treat that the pans per shade are pretty big. 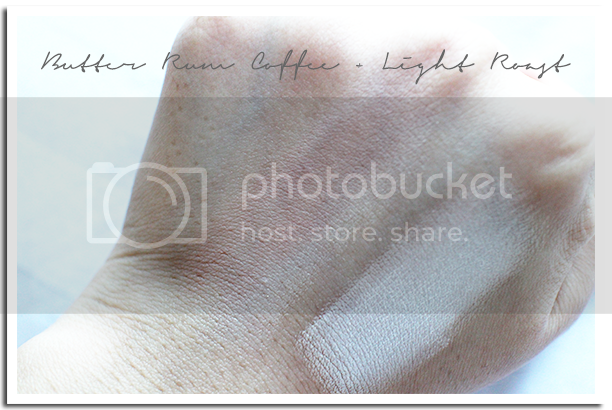 I was a bit intimidated at first because the Butter Rum Coffee shade is a little dark and the light roast was too white. However, the swipe on my hand proved that all I needed was a little blending skills and I can look a little more perfect LOL. The texture can be a little bit powdery in the beginning but nothing like a good brush and blending skill can't fix. It was a mostly-Ellana FOTD, as I recently switched to Pumpkin Spice Latte powder, because I'm darker than usual :D Wearing MAC Playland's Sweet Experience here, too! Overall: I'm surprised that I really like Ellana's Blush Duo, and I'm happy that it's working well with my skintone. The dark shade may be a bit intimidating at first but don't let it fool you. I'm not a big fan of cardboard packaging but it does wonders in being earth-friendly and it's much lighter to lug around. 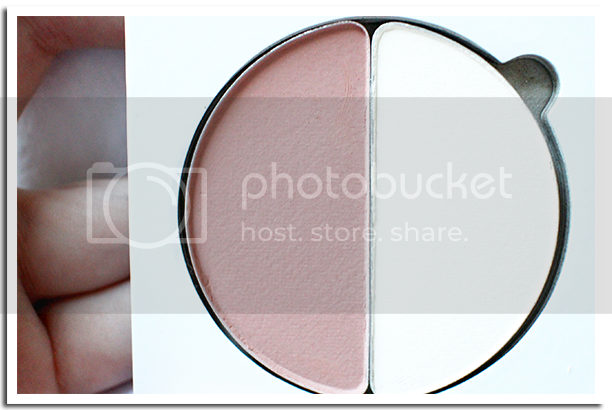 If you're in search of a blush/contour powder, this is a good starting point.